Debbie is an Organisational Development Consultant who has fourteen years experience of working in both the private and public sector. Her background consists of having worked in a large corporate organisation as an HR Director and as a consequence has a broad range of experience working with senior leaders to middle managers. 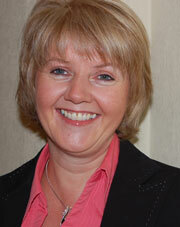 She has worked closely with Lancaster University Management School since 1995 and is an Honorary Teaching Fellow. Her business and practical experience with academic understanding brings rigour and depth to her work. Graduate of Meyler Campbell Business Coach programme accredited by the Law Society and WABC. Combines commercial acumen with an understanding of the key principles required to achieve organisational effectiveness through people.